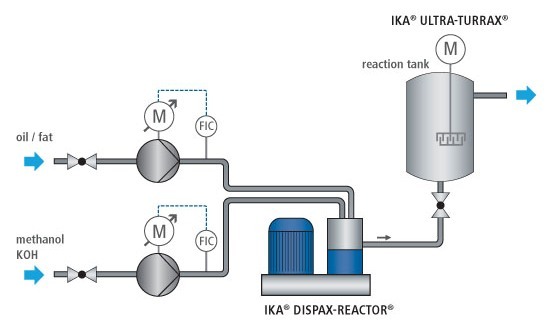 Using a special IKA® inline dispersing machine of the type DISPAX-REACTOR®, it’s now possible to carry out the transesterification in a continuous process in one stage where raw materials are fed continuously. Part of the phosphatides in the raw oil are hydrogenizable with water and can thus easily be separated. The remaining non-hydrogenizable phosphatides can be separated by adding acid. 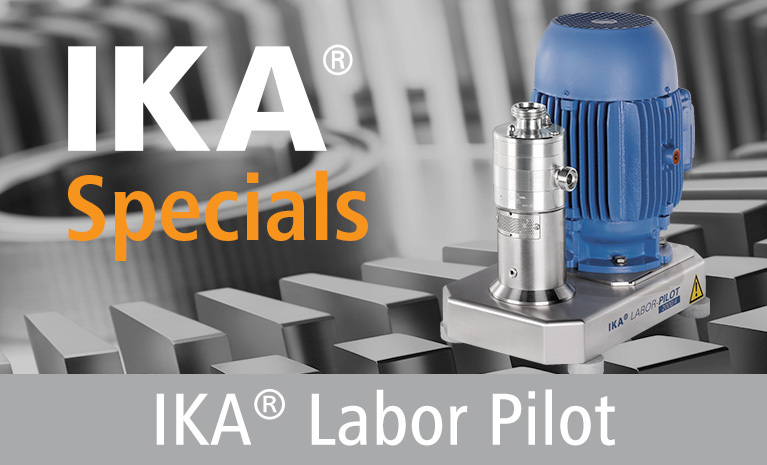 The untreated oil is heated up to 60°C – 70°C and thoroughly mixed with up to 1% of phosphoric acid. The acid is reacting with the phosphatides, thus enabling a settlement of the water. The phosphatides can then be separated by filtration or centrifuging. This results in a “degummed” oil and gum resin, from which, under certain conditions, lecithin can be produced. 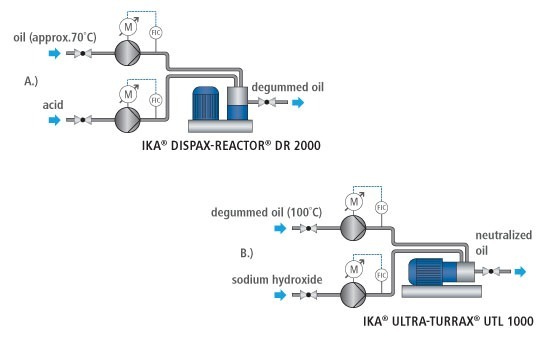 For a thorough mixing of acid and oil, the IKA® dispersing machine of the type DISPAX-REACTOR® DR 2000 proved to be very suitable.